Second Harvest Food Bank of Northwest North Carolina is committed to reduce hunger and malnutrition in our area. 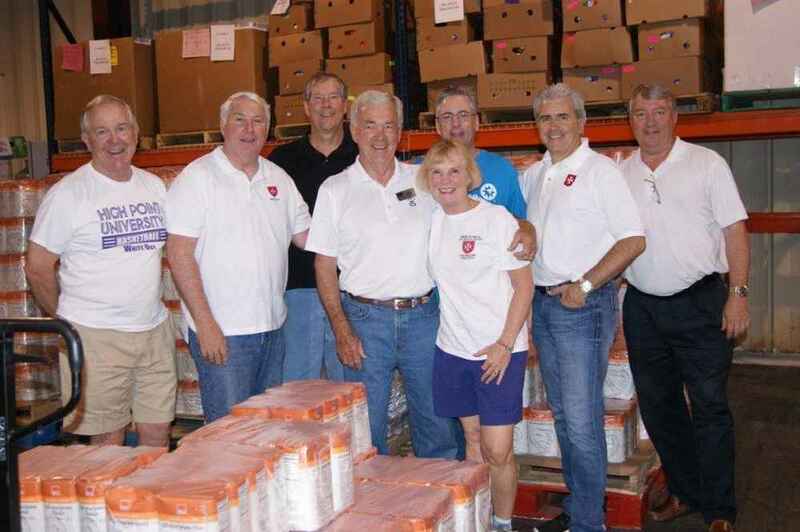 Central North Carolina region members gather to build food pallets for distribution to their 400 service partners throughout 18 North Carolina counties. 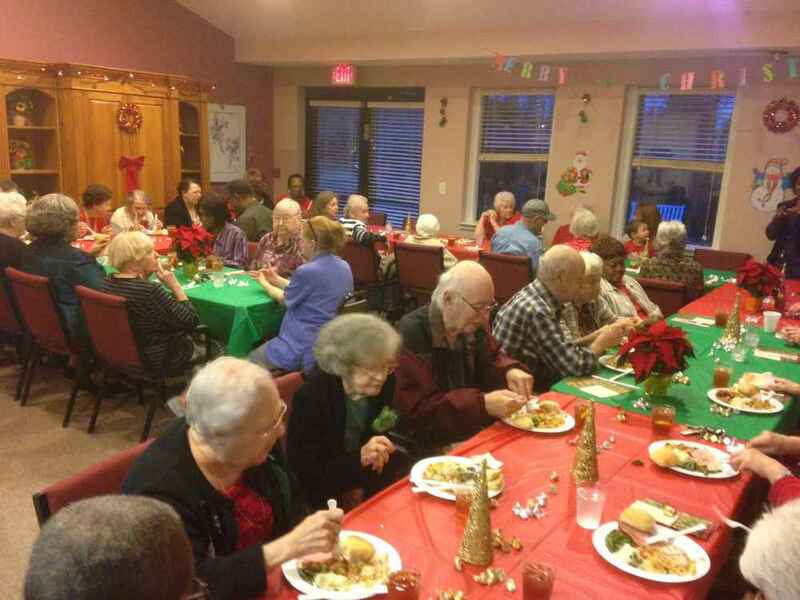 In December we celebrated Christmas with 50 residents of Dolan Manor. The evening consisted of delicious Christmas dinner, entertainment and a special visit from Santa. This celebration and our Easter dinner are annual events that provide a special evening for Dolan Manor residents. Our goal is to further our presence and impact through unique signature projects. 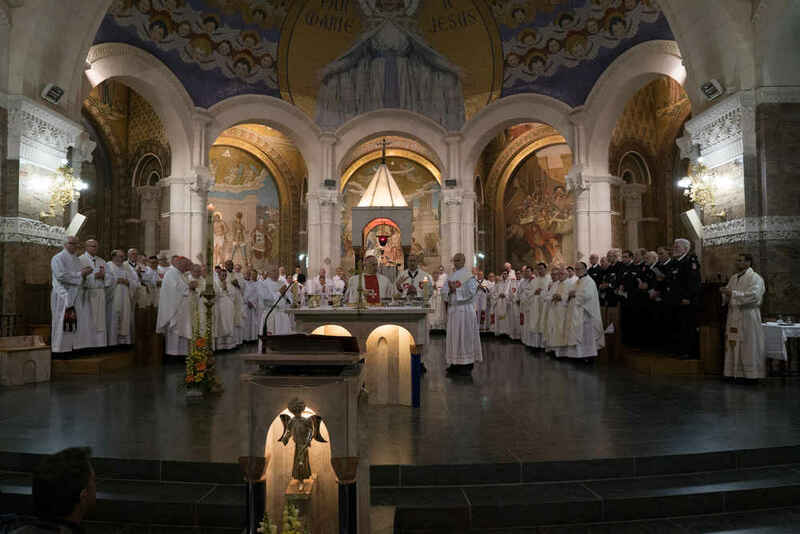 The Central North Carolina region of the Order of Malta, established in 2013, currently consists of 16 dedicated men and women guided by our chaplain Monsignor Anthony Marcaccio. Our mission is to the Defense of the Faith and Assistance to the Poor and the Suffering in the Greensboro, High Point, Winston-Salem, Durham, and Raleigh communities of North Carolina. Celebrated the first Saturday of each month at 8:00 am in the chapel of St. Pius the Tenth followed by breakfast.